Behold two new posters for State of Women! Here we have photojournalist Danny Finckle (Mark Nuttall) and bomber manufacturer Eve Landing (Alyssa Owsiany). 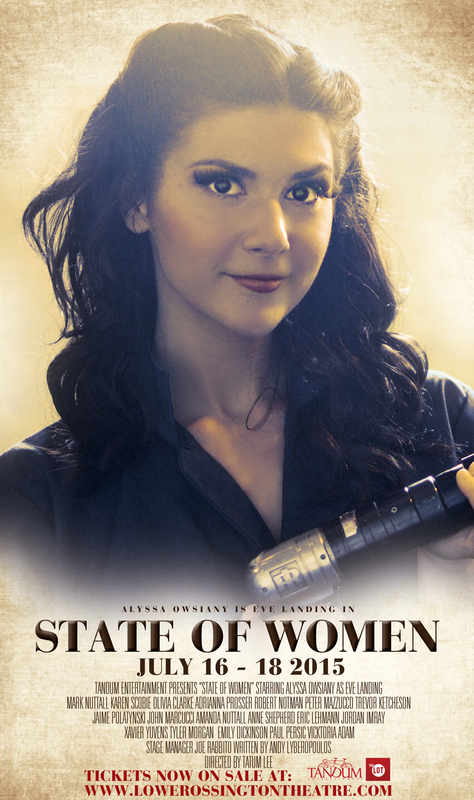 State of Women explores the rise of women in the workplace and the journalistic power the media has on society. 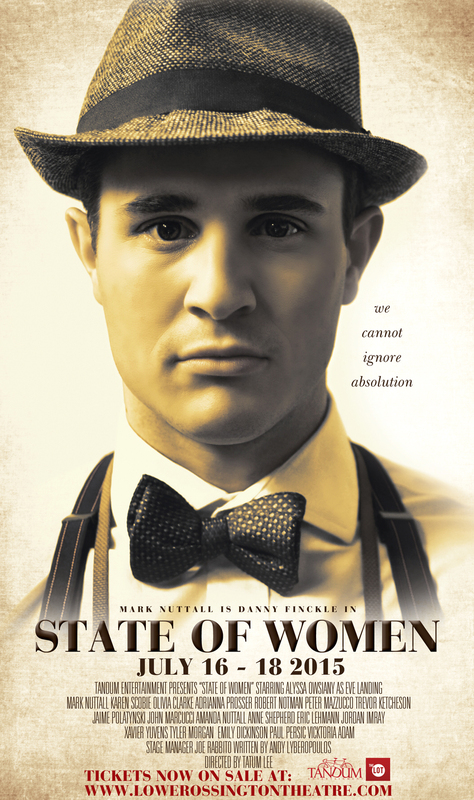 Check out this dramatic WWII story July 16 – 18 2015 at the Lower Ossington Theatre in Toronto. Previous Post TICKETS NOW ON SALE!